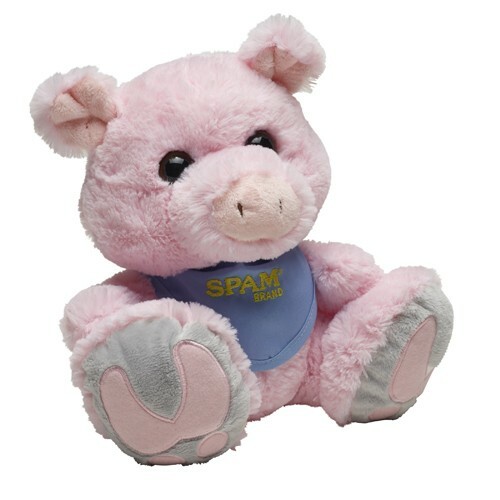 10" "Snortster" Pig with light blue SPAM® Brand bib. He is super soft and adorable with his big eyes and big hooves. Bib colors may vary. Not recommended for children younger than 3 years old.